The Jackson Court Hotel is situated in the heart of Dublin City now known as the Village Quarter and is only minutes walk from Stephen's Green and Grafton Street. 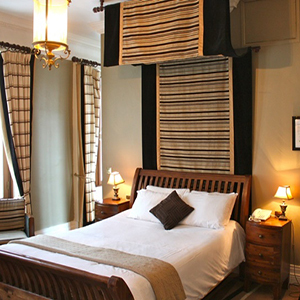 Our elegantly styled Georgian building is the ideal venue for the overnight visitor or leisure tourist. The Jackson Court Hotel is located in City Centre in Harcourt Street, in what is known as the Village Quarter, Dublin 2 Ireland . The hotel is only minutes from Grafton Street, Dublin's trendiest shopping district and St Stephens Green the beautiful Georgian Park and welcomes daily a combination of local Dubliners and visitors from abroad. The hotel boasts 26 bedrooms that all are en-suite ranging from single rooms to Family rooms with superior rooms for that little touch of extra. The rooms feature a TV and tea and coffee making facilities. The hotel offers a variety of lunch options, from hot lunches to specials throughout the week and variety of freshly made to order sandwiches and desserts. The Jackson Court hotel offers takeaway service at the bar where customers can pre-order lunch from the deli bar to save time. 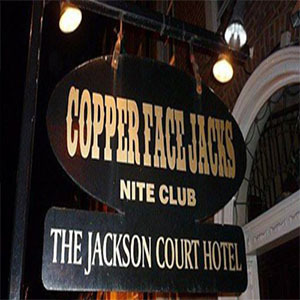 Copper Face Jacks nightclub is one of the most popular destinations in Harcourt street Dublin 2 Ireland. The nightclub is located on the hotel. It is open 7 nights a week from 11pm - late. From Sunday to Thursday it has a strict age policy of over 20's while on Fridays and Saturdays the hotel has a strict age policy of over 21's. Don't miss out any sport events occuring around, whether you would like to watch a sport action on the TV or attending sport venues in Dublin, this hotel is an ideal Dublin city hotel for the many Sport events occurring throughout the year. The sport venues such as Aviva Stadium and Croke Park are just a few minutes from the hotel.